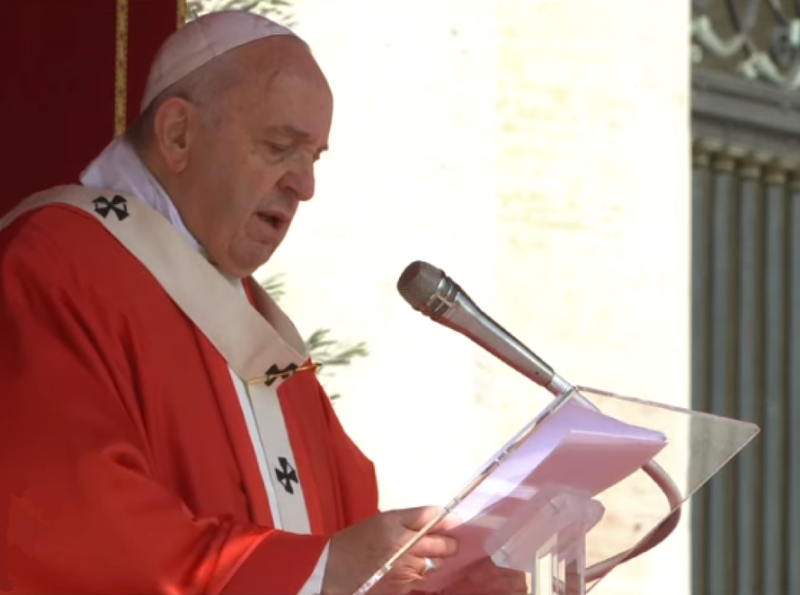 April 17, 2019 (Vatican Media) In his General Audience, Pope Francis delivered a catechesis on the “Our Father”, focusing on the Lord’s Prayer in the light of the Holy Week, when Catholics around the world commemorate the solemn mysteries of the passion, death and glorious resurrection of Jesus. He picked out three prayers of Jesus to the Father during His passion. The Pope urged Christians to pray like Jesus asking the Father that they be able to accept that “God is love”. Many times, he said, we imagine God as master and not as Father, a severe judge and not as a merciful Savior. 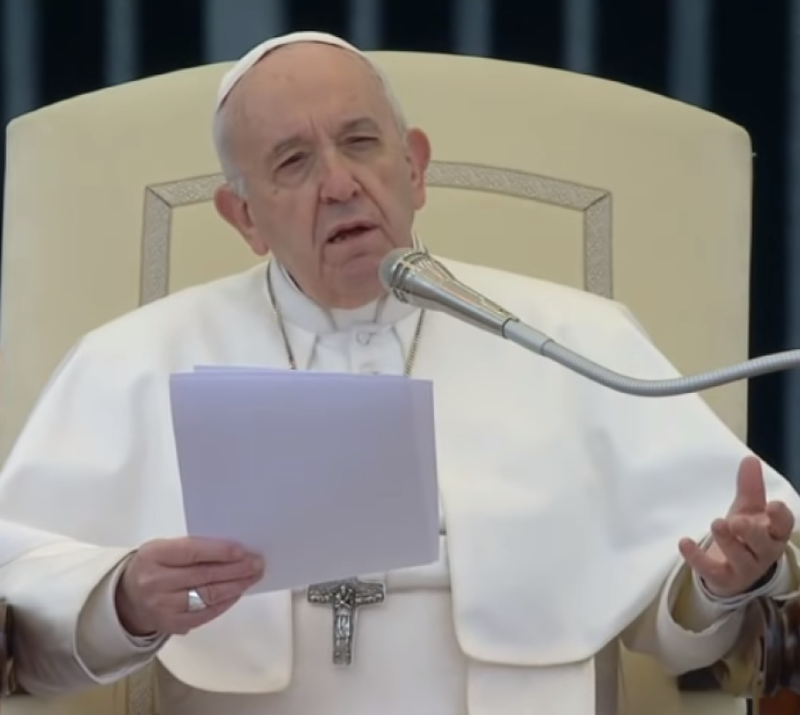 April 10, 2019 (Vatican Media)At Wednesday's General Audience, Pope Francis continues his catechesis on the “Our Father”, reflecting on the petition “Forgive us our debts”. 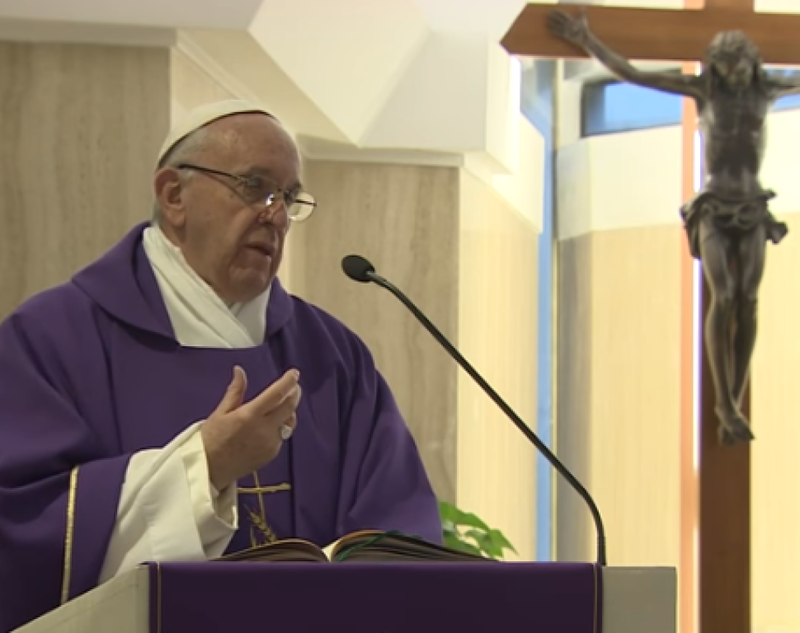 April 9, 2019 (Vatican Media) Pope Francis celebrated morning Mass at the Casa Santa Marta commenting on the “spirit of tiredness” that “takes away hope”. 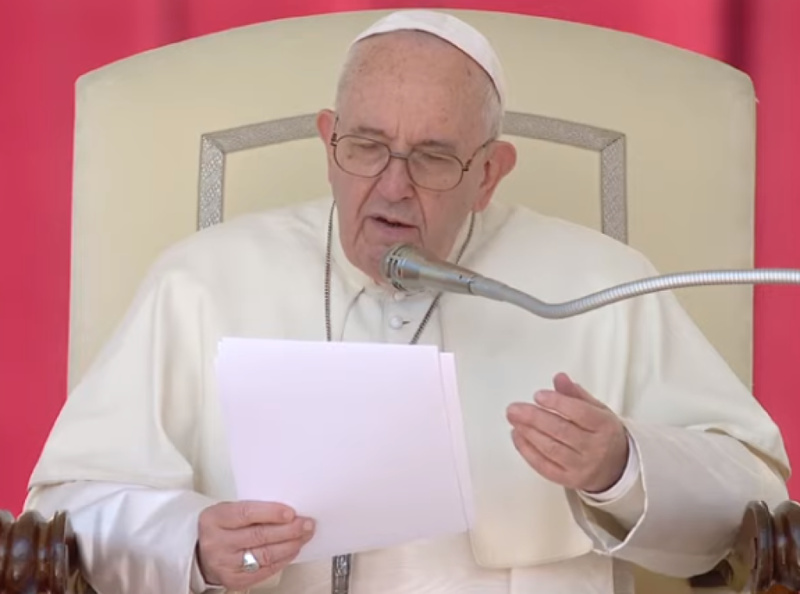 April 7, 2019 (Vatican Media) On the Fifth Sunday of Lent, Pope Francis reflects on the Gospel account of Jesus’ merciful response to the woman caught in adultery. The Gospel of the day presents us with two conflicting attitudes, the Pope said: the attitude “of the scribes and Pharisees, on the one hand; and that of Jesus on the other”. “Jesus’ interlocutors were closed in by the narrowness of legalism”, the Pope said, “and they wanted to enclose the Son of God in their own perspective and condemnation”. Jesus, though, came into the world “not to judge and condemn, but to save, and to offer people a new life”. When Jesus said, “Let the one among you who is without sin, cast the first stone,” He was appealing to the consciences of the men, reminding them that they, too, were sinful. 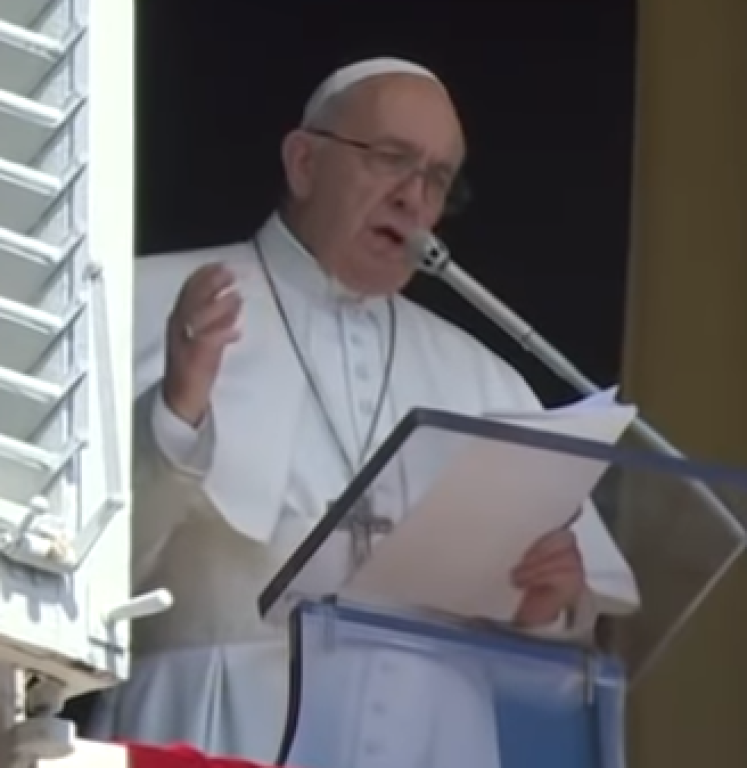 “This scene invites each one of us, too, to realize that we are sinners,” the Pope said, and calls us “to let fall from our hands the stones of denigration and condemnation, of gossiping that at times we would hurl against others”. When we cast these stones at others, he said, we become like the scribes and Pharisees in the Gospel. But when He dismisses the woman, Jesus uses “these wonderful words: ‘Go, and sin no more’.” The Holy Father explains that Jesus, by acting mercifully, had opened “a new path” for the woman, a path that requires from her a commitment not to sin in the future. “It is an invitation that applies to all of us”, Pope Francis said. “In this time of Lent, we are called to recognize that we are sinners, and to ask for forgiveness from God”. And, he said in conclusion, that forgiveness helps us to begin our own story anew, because “every conversion is directed to a new future, to a new life, a beautiful life, a life free from sin, a generous life”.